Since the early 1990s, ServiceMaster by Disaster Associates, Inc. has proudly provided disaster restoration and cleaning services to the Manchester, NH, community. However, our roots go even further back, into the 1980s, when two separate companies owned by our owners Dan Noyes and Chris Carey provided similar services. After our merger and incorporation in the 1990s, we have worked tirelessly to give our clients the absolute best services available. We do this by utilizing highly trained technicians, responding rapidly to emergencies, and working with local insurance companies to give you the greatest peace of mind possible following a disaster. We operate in both residential and commercial settings, and even assisted with major projects following the tragic attacks on 9/11. The primary services that we provide include water damage restoration, fire damage restoration, mold remediation, content cleaning and pack-out, carpet cleaning, and hoarding and estate cleaning. All of our technicians are certified through the IICRC, ServiceMaster Clean Quality Assured program, and Indoor Quality Associations. Our representatives are available 24 hours a day at (603) 967-4744, and can respond to emergency situations in the Manchester, NH, area within 2 to 4 hours of your call. One of the most common sources of property damage is water. This is because many building materials are porous, which can allow damage to spread further if the source of the water is not addressed quickly. Severe storms, burst pipes, sewage backups, and more can all contribute, but the urgency to fix leaks should be the same. ServiceMaster by Disaster Associates, Inc. provides full water damage restoration services to extract and eliminate standing water and excess moisture, repair damaged structural elements, and restore your property and belongings to their original condition. We proudly service home and business owners in the Manchester, NH, area. Fires are terrifying events that can leave behind a wake of devastation, and so too can the byproducts of the fire. Smoke, soot, and other corrosive byproducts released when certain materials are burned can lead to etching, discoloration, and deterioration if these problematic elements are not addressed. ServiceMaster by Disaster Associates, Inc. provides complete fire damage restoration services to tackle all of this, and more. We will repair structural elements of your building, restore furnishings and personal belongings to the fullest extent possible, and fully sanitize and deodorize affected areas. We respond swiftly to these emergency scenarios in the Manchester, NH, area. Mold is an intricate beast because of the ease in which its spores can spread, and the complications it can cause to your property and health. All mold needs in order to take hold is an organic food source, which is highly common in homes and office spaces, and excess moisture. Once it begins to grow, it is very difficult to remove. If left unanswered, mold growth can damage structural elements of your property, and lead to severe health consequences for those living in close proximity. 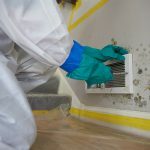 We provide full mold remediation services here at ServiceMaster by Disaster Associates, Inc. to home and business owners in the Manchester, NH, area to address these situations. When your property is damaged by a fire, storm, flood, severe accident, or really anything else, your personal belongings are often at risk, as well. In many cases, a matter of minutes can make the difference between permanent damage setting in, and your belongings receiving a full restoration. 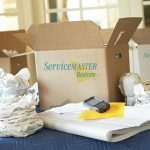 Here at ServiceMaster by Disaster Associates, Inc., we provide content cleaning and pack-out services to restore any of your items either on-site or at one of our secure, climate controlled facilities. Our technicians are highly trained, and work with various experts when necessary (for electronics, rare items, etc.). 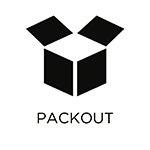 We provide this service to homes and businesses in the Manchester, NH, area. Clean, crisp carpets can make a lasting impression on visitors in both residential and commercial settings. However, daily use can lead to general wear and tear, discoloration, and even deterioration. ServiceMaster by Disaster Associates, Inc. provides carpet cleaning services that will leave your carpets looking as good as new, and increase their longevity. We do this through our specialized cleaning solutions, equipment, and methodologies (such as our hot water extraction cleaning method). We can provide one-time cleaning services to home owners, and regularly scheduled cleaning services to businesses, in the Manchester, NH, area. Hoarding tendencies stem from a rare disorder that causes extreme anxiety in those attempting to throw away unnecessary and unneeded items. We fully understand this here at ServiceMaster by Disaster Associates, Inc., and always work with respect and compassion when providing our hoarding and estate cleaning services. It is important for trusted family members and friends to approach affected individuals about the dangers of their habit because they will often be too embarrassed to seek help themselves. Once we are on-site, we will establish trust, work with affected individuals to dispose of, recycle, donate, or keep specific belongings, and then clean and restore affected areas. We even leave a cleaning plan behind, and follow up on a regular basis. We provide this service to affected individuals in the Manchester, NH, area.